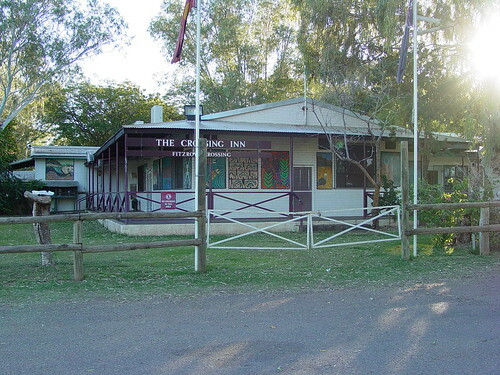 I stayed at the crossing in, one of the most notorious pubs in all of Australia. It is well known for having the second highest sales of slabs of beer in WA and for the ensuing bad behviour. The outside of the pub is covered in steel concrete reinforcing mesh. Of course, I saw none of this bad behaviour and I only knew of it's reputation by reading about it rather than being there.